Michaëlle Jean takes part in a plenary session at the Francophonie Summit in Yerevan, Armenia, on Oct. 11, 2018. 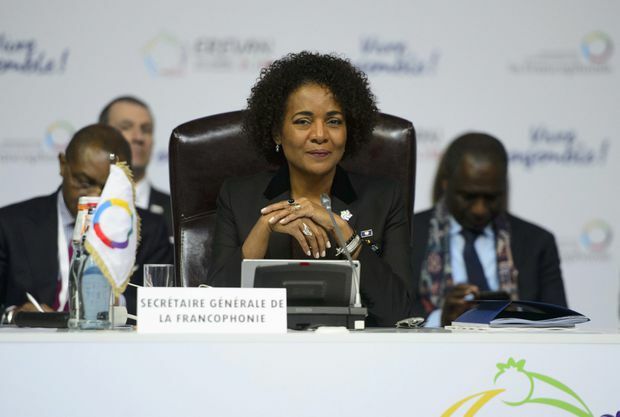 Without even her home country supporting her, Michaëlle Jean failed in her bid for a second term as secretary-general of la Francophonie on Friday as the organization’s members instead chose Rwandan Foreign Affairs Minister Louise Mushikiwabo. Three days after his government withdrew its support for Ms. Jean, Prime Minister Justin Trudeau insisted the move was not part of a deal to advance Canada’s bid for a seat on the United Nations Security Council in 2020. “We supported the Rwandan candidate when it was clear that there was a consensus on the part of the African countries, and therefore of la Francophonie,” Mr. Trudeau told a news conference as the two-day Francophonie summit closed in the Armenian capital. He praised Ms. Jean for her “excellent work” as secretary-general. He acknowledged, however, that Canada’s support for Ms. Mushikiwabo could prove beneficial at the UN. “We have worked with Africa for a long time, and we continue to work with Africa on many issues, including this request that we have been making for several years for support for the Security Council,” he said. While the Francophonie and UN campaigns coincided, “they are not directly connected,” he added. Ms. Mushikiwabo had the backing of France and many African Union countries going into the summit. But in a final attempt to sway the 54 voting members on Thursday, Ms. Jean warned that rights and democracy shouldn’t take a back seat to partisan ambitions. It was a veiled criticism of her only opponent for the job, whose government has been accused of abusing democratic rights and freedom of the press. Rwanda’s President, Paul Kagame, was elected with nearly 99 per cent of the votes in 2017. Named to the post in 2014, Ms. Jean was the first secretary-general not to come from Africa since the position was created in 1997. Ms. Mushikiwabo hailed the return of an African to the office. She said she does not intend to make major changes to the direction of the organization, but she promised more transparency in the organization’s spending. Ms. Jean had been dogged by stories of excessive spending and questionable expenses during her mandate. Ms. Mushikiwabo did not name Ms. Jean in her acceptance speech, but she said “each bill spent is important,” and no expense should be taken lightly. Ms. Jean spoke briefly on Friday, saying she was happy to have advanced the organization of French-speaking countries on the international stage during her time. After a four-year term marked by controversy, the former governor-general was considered a long shot for a second stint, but she refused to withdraw her candidacy even as support dwindled. In an interview on Friday, Mr. Kagame pushed back against Ms. Jean’s criticism of his country. He said Ms. Jean came across as bitter and angry, considering a consensus had formed backing Ms. Mushikiwabo. For Université de Montréal researcher Jocelyn Coulon, the tense battle over the secretary-general post should serve as a lesson to the organization. “The process of selection and appointment of the secretary-general is in crisis, as demonstrated by the psychodrama the organization was plunged into for a week,” said Mr. Coulon, who was an adviser to former global affairs minister Stephane Dion.